There’s nothing like a top-grade nature documentary which displays most intriguing wildlife on Earth through stunning visuals. But these visuals are only one side of the experience. A sweeping documentary isn’t sweeping without a sweeping soundtrack. 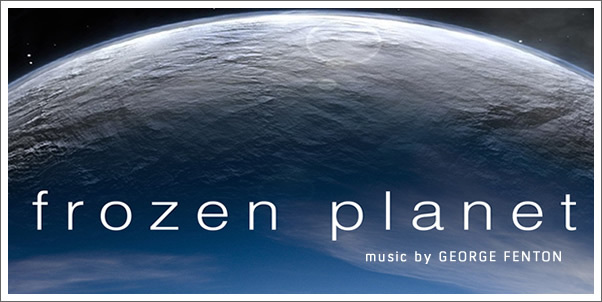 Luckily, FROZEN PLANET is scored by the ever-classy George Fenton, and it’s sweeping! FROZEN PLANET is a seven-part series from the BBC about nature in the Arctic and Antarctic. It explores the intrigues of wildlife, land formations and weather, including the confronting effects of climate change. It’s a setting which is inspiring, but also gives FENTON the freedom to explore and experiment - an opportunity he does not waste.